Sculptra® Aesthetic works subtly and gradually over time for a more youthful-looking appearance. Sculptra Aesthetic helps stimulate your skin’s own natural collagen production to help restore its inner structure and increase facial volume that has been lost to aging. 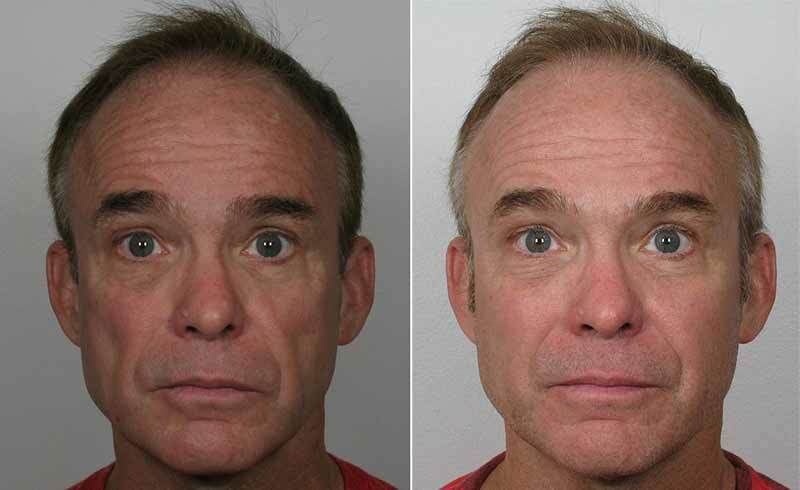 Typically, a full treatment of Sculptra involves three to five injection sessions spread over a few months. Injected into the deep dermis, Sculptra stimulates natural collagen and reinforces skin’s structure. The resulting reinforced collagen structure provides a foundation that gradually restores the look of fullness to both shallow and deep facial wrinkles and folds. 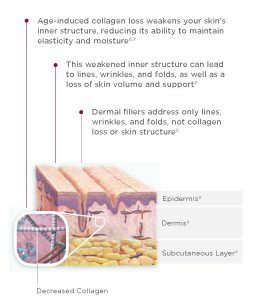 * And since Sculptra is biodegradable, the body has a natural pathway to break it down and eliminate it while leaving natural collagen in its place. Sculptra is recommended for use in the nasolabial folds and wrinkles. It is not injected in the lips or around the eyes. Side effects are minimal. Patients may experience a little tenderness, redness and some swelling around the site of the injection, but these effects generally subside within a matter of days.